Our product range includes a wide range of ventilator on rent trilogy 100. Light, versatile, and easy to use, Trilogy100 offers clinicians and patient one Light, versatile, and easy to use, Trilogy100 offers clinicians and patient one of life's greatest qualities - simplicity. The Trilogy100 portable volume and pressure support ventilator is ideal for use at home or in alternative care sites.of life's greatest qualities - simplicity. 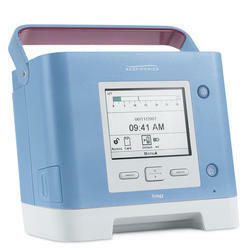 The Trilogy100 portable volume and pressure support ventilator is ideal for use at home or in alternative care sites.